Transform Sunlight Into Cooling AC For Cost-Effective Comfort. It’s truly amazing what solar power can accomplish. It’s entirely possible to cool your home just using the sun’s energy with our powerful solar air conditioner. 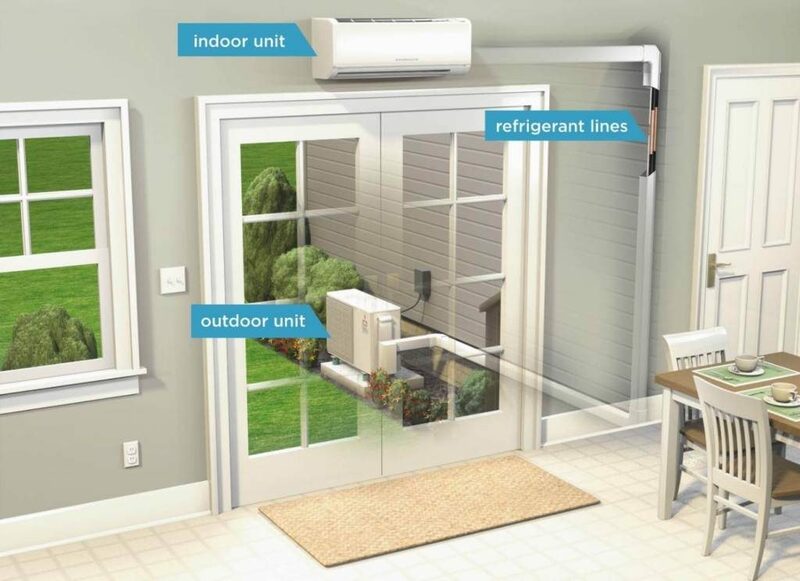 This mini-split unit is a hybrid air conditioner that will take power from the grid as necessary while creating plenty of cool air during the day when the sun is at its most extreme beating down on your home or business. Our Pep Solar Advanced Solar Air Conditioner is a heat pump that’s tied to the grid with an AC to DC converter. The unit runs straight off DC power produced by solar panels throughout the day, and draws the power it needs from the grid with the AC to DC converter. You can save money on cooling when the sun is out and enjoy the same top-grade performance you would with a modern grid-tied system at night. This mini-split heat pump is capable of effectively cooling or heating your home at any time. 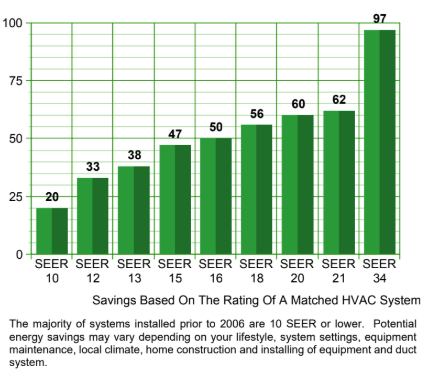 During the day, the system will only pull roughly 50 watts of power to cool your home or business, making it a 65 SEER cooling system. At night it uses grid power and offers or effective heating for those rare chilly Arizona nights. During the day your solar air conditioner can cut cooling costs by as much as 90%, providing you with huge savings! You’ll pay next to nothing to keep those temperatures constant throughout that period, allowing you to enjoy a nice, cool home or office space at a fraction of the cost. What Are Solar Mini Split Air Conditioners? Ductless mini-split HVAC systems are a great option for homeowners that are considerate of energy efficiency and prefer an energy conserving option for home comfort. The main difference between ductless and traditional ducted systems is that the ductless systems move heated or cooled refrigerant from the main unit to room handlers, rather than heated or cooled air. This alone increases the energy efficiency of the system, but adding a solar ductless system maximizes energy efficiency by powering the system from solar arrays. Ductless Systems eliminate duct loss in energy efficiency; this loss can account for 30% or more of the energy consumption of your HVAC system. This equals huge savings for those who opt for the ductless option. The 5 Stage Solar Mini-Split HVAC is a 1.5-ton unit, capable of cooling up to 1100 square feet. This hybrid unit requires four 270-watt solar panels to operate, while providing up to 97% Energy Savings. This unit offers effectively a 21 SEER rating without the solar panels and over 34 SEER when utilizing all four 270-watt panels, regardless of time of day. With the 5 Stage Solar Mini-Split HVAC, you can expect immediate cooling after around 30 seconds, and the 12-year Design Life means you’ll be saving on your energy costs with this unit for over a decade. Fully operational during the day without any electricity when all four panels are fully in the sun, this unit allows you to run 100% directly on solar power during the day, when costs and usage are at their peak.